Compatible with iOS 8, 9, 10 and 11. 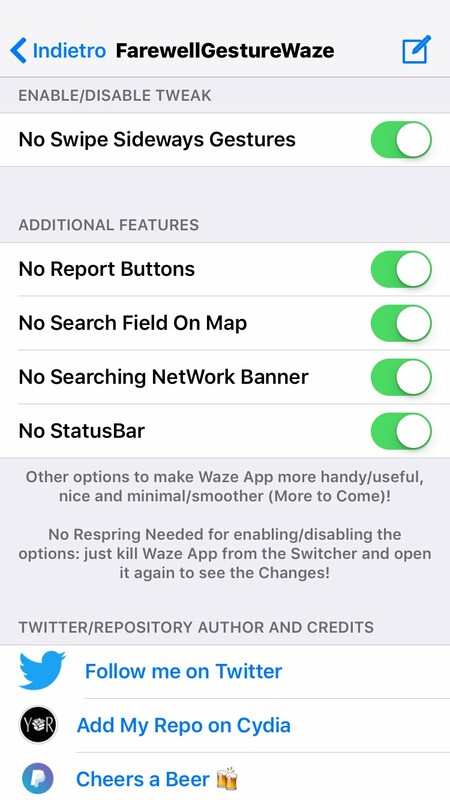 FarewellGestureWaze just disables the Edge Sideways Swipe Gesture in Waze Application and More! The Menu can be invoked the same by tapping the Search Button Lens in the Bottom-Left of the Application Screen. 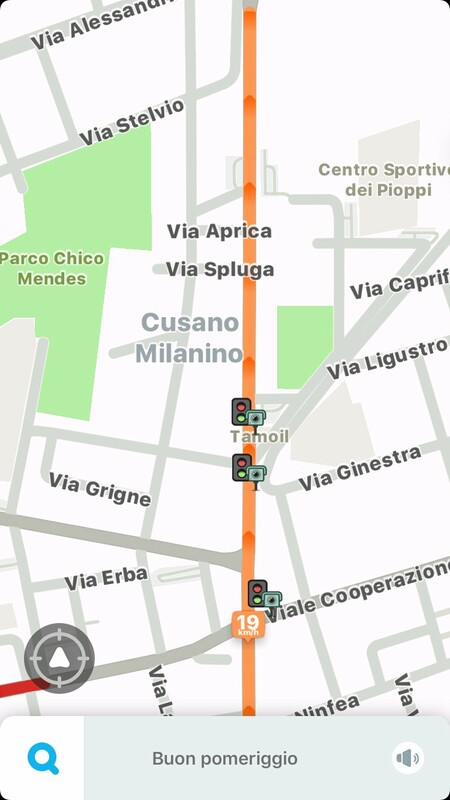 The Tweak works with the Actual Latest Version of the Waze Application (Version 4.34). It’s now out from the Stage of My Repository. The Preferences Bundles will be added really soon! More Works and Stuff are in Planning! - Added the option to Disable the Ads in App (thanks tip by sinfool). - Added the option to Enable the Auto Dismiss Mode (thanks tip by sinfool).